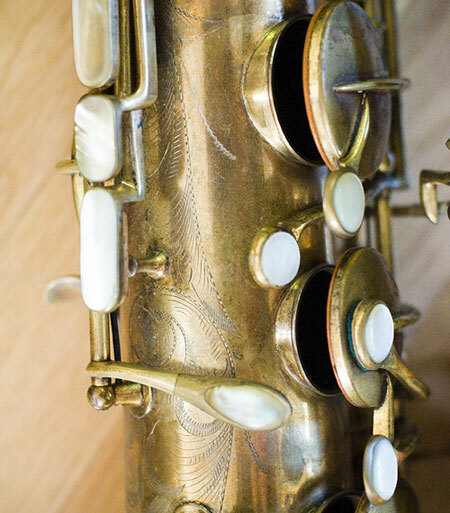 Q: You have a significant collection of vintage saxaphones. 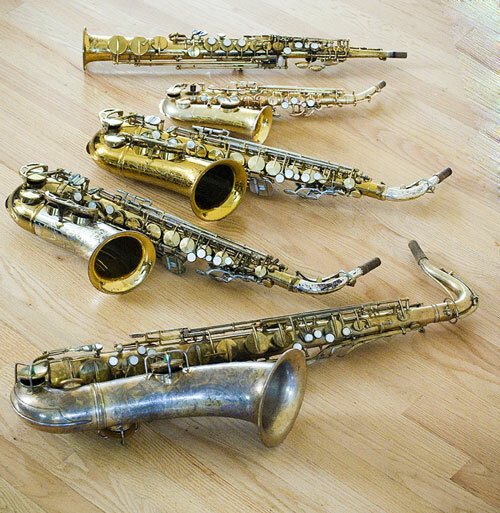 What is your favorite vintage saxaphone of all time? 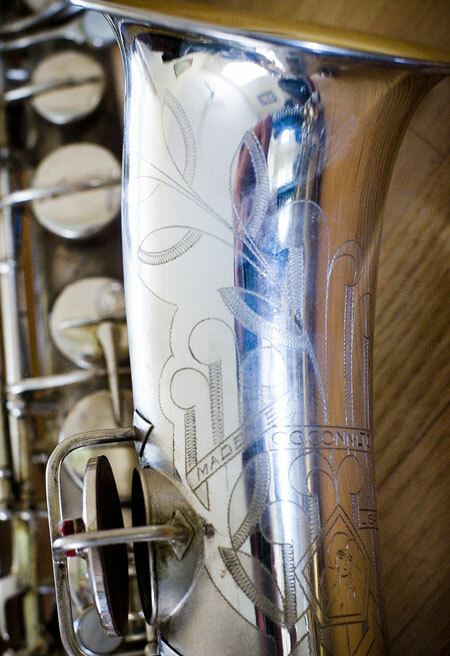 A: I signed on to Yamaha in 2002 because I love the Z tenor, but I would have to say my favorite vintage soprano would be a 5 digit US engraved Mark 6, my favorite curved soprano is a gold 1924 Buescher, my favorite vintage alto would be a late HN White or early East Lake King Super 20 and my favorite vintage tenor would be my 1924 Conn Gold Artist Virtuoso Deluxe. I used this on my 1999 recording with Von Freeman and it can be seen on the album cover. 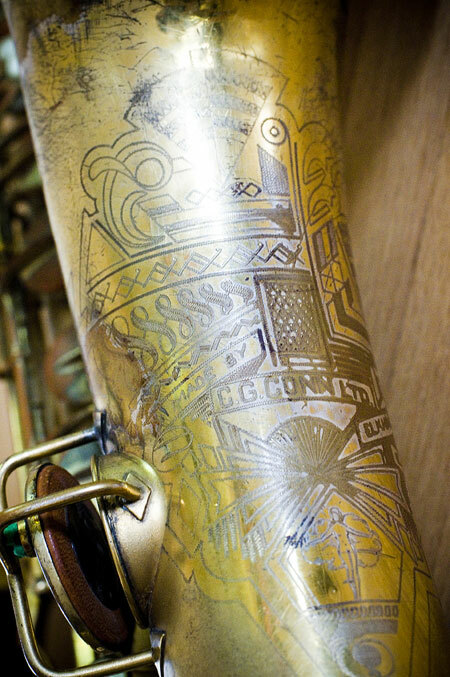 It’s gold plated and engraved top to bottom and has abalone pearl on every key. 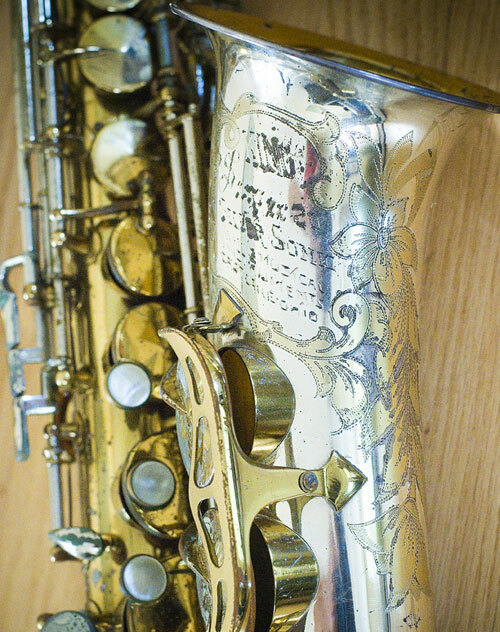 Not only is this the most ornate saxophone ever made, but it just really rumbles and roars and is a blast to play. This particular one I’ve owned since 1995 and it had at least one very famous owner prior to me and is a very special instrument. I really like vintage Conn’s in general, the split B/Bb horns just really have that 1920’s old school Jazz sound and they are very resonant. While they are not always best suited for modern playing, they have a special vibe and I always feel a sense of history when I’m playing them. Here are a few pics of some of my Conn’s. King Super 20’s and King Super 20 SilverSonic’s have always had a mystique to me. 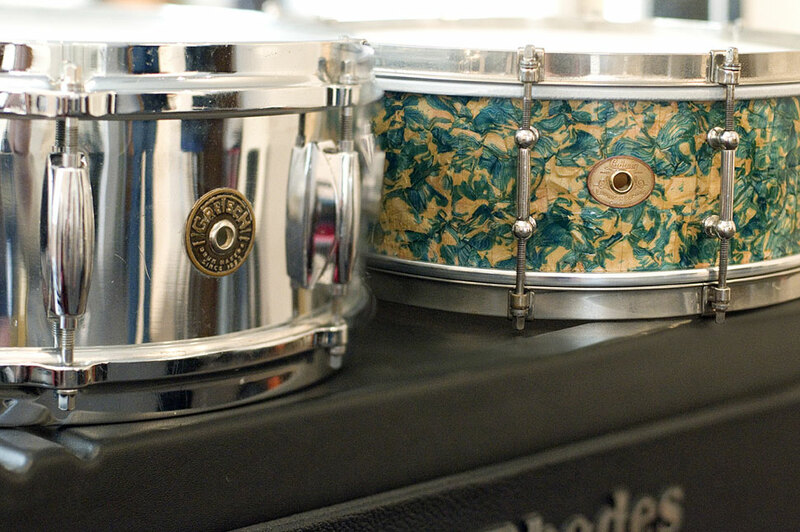 I used to own a 295K SilverSonic tenor and a 323K SilverSonic tenor with full pearls. Both sounded great but the 323K was very resistant and sluggish and the 295K was super responsive but was quirky intonation wise. I personally am not a fan of double socket necks, so I usually prefer King Tenors after 400K. 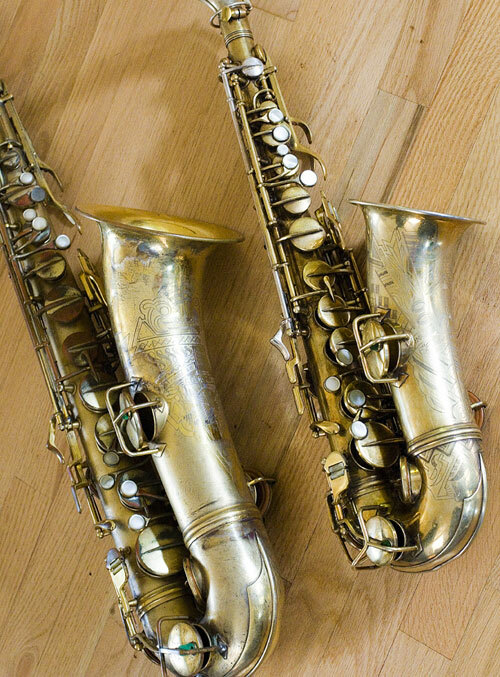 The alto’s on the other hand, are so fun to play, I understand why Charlie Parker and Cannonball Adderley chose to play on them. 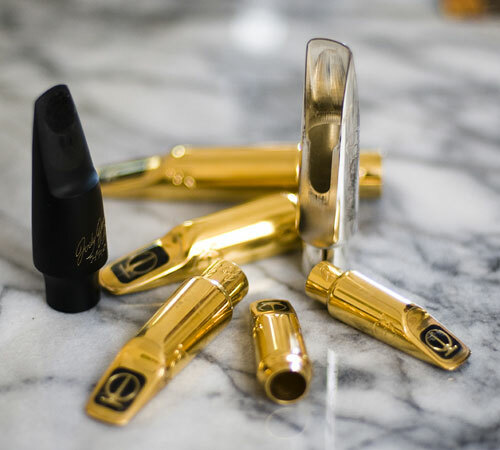 I’ve owned a gold 295K alto, 297K and 319K SilverSonic Altos with full pearls as well as a 364K SilverSonic Alto. They where all fun horns to play but my favorites are in the low 400K range. I still own a SilverSonic with gold inlay that I purchased in 1989 from the original owner and I have a near mint Super 20 in the 400K range (See Below). 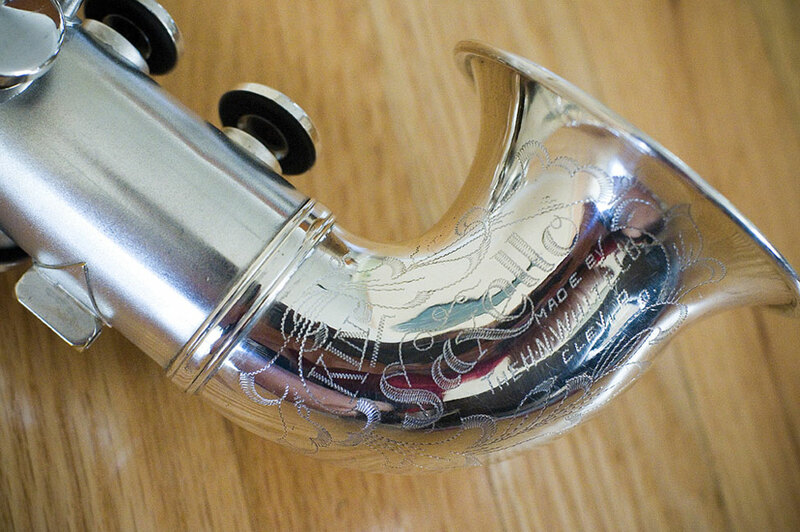 I also have a mint 86K King Saxello that Jarod Bufe just overhauled for me. It plays and tunes great, unlike many saxello’s. Super Fun! 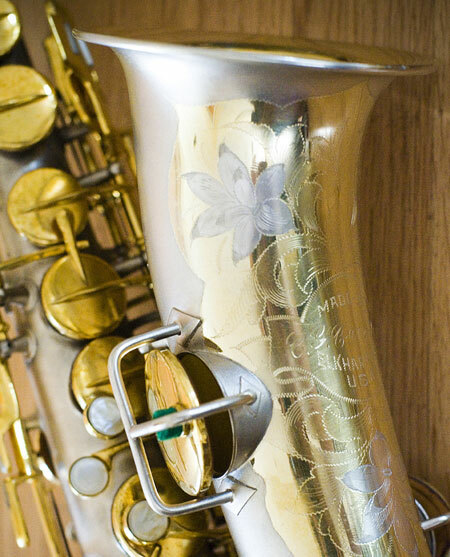 Q: I saw you playing at the Green Mill in the late 90’s on a Selmer Mark 6 Tenor. When did you switch to the Yamaha Custom Z and why? 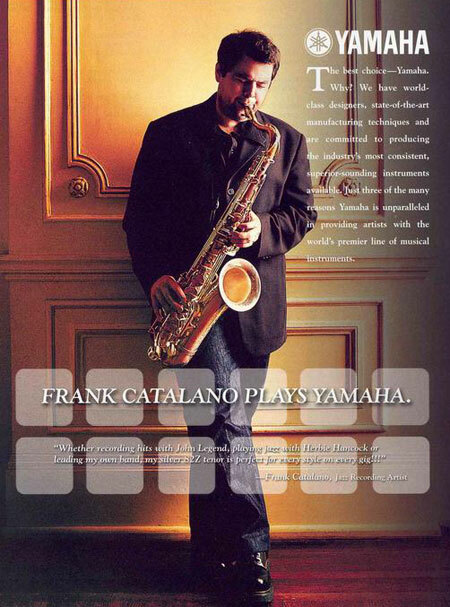 A: I really feel the keywork, tuning and response of the Yamaha Z works best for me. 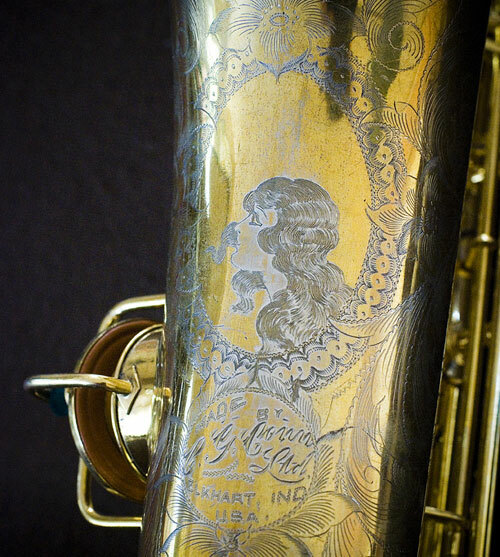 Since 2002, the Z is the only tenor I’ve preformed or recorded with. 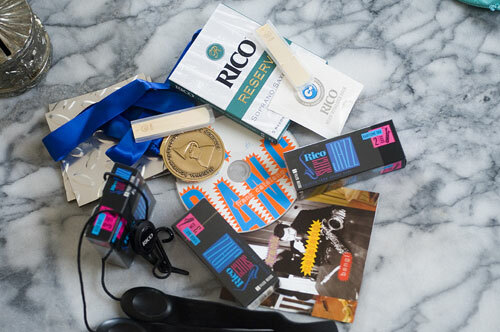 I love to use vintage saxophone’s to play test Rico Reeds around the house since I am part of their Artist Advisory board. Not everyone plays Yamahas, so I feel it’s important to know how the reeds will respond on various makes and models of saxophones. 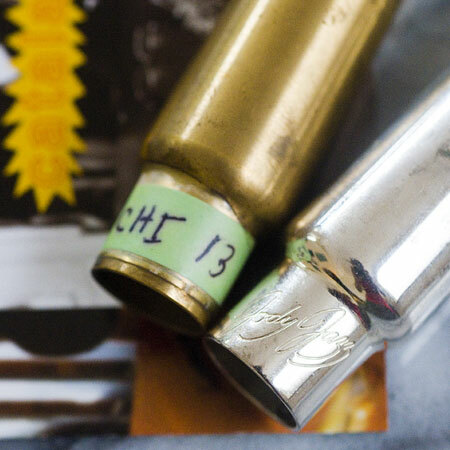 This also proved helpful when assisting Jody Espina with the Chicago Model DV tenor mouthpiece. 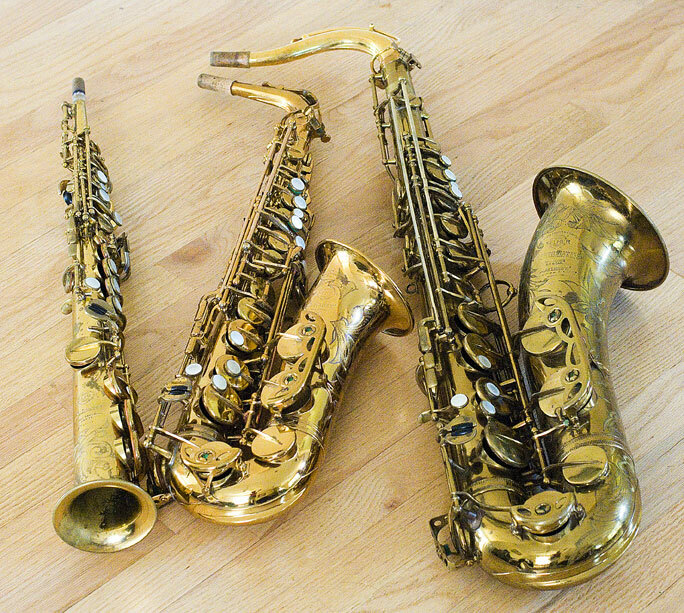 I use my vintage saxophone’s for that and regularly use my old Conn’s, Kings, Buescher’s and Selmer’s for that reason. 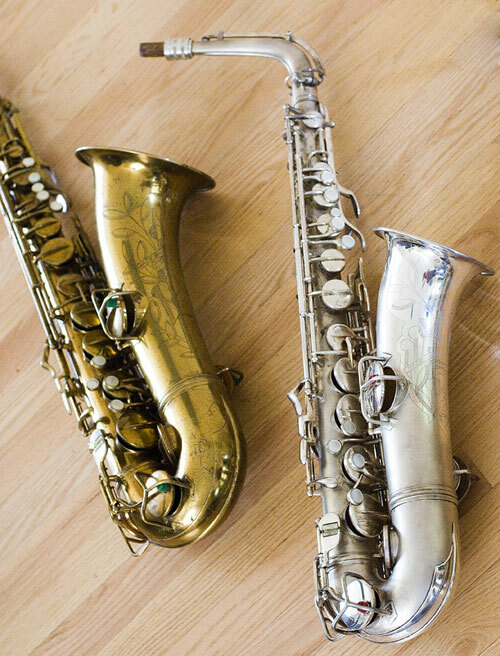 My favorite Selmer’s seem to fall in the 80K – 90K as well as the 140K – 150K ranges. 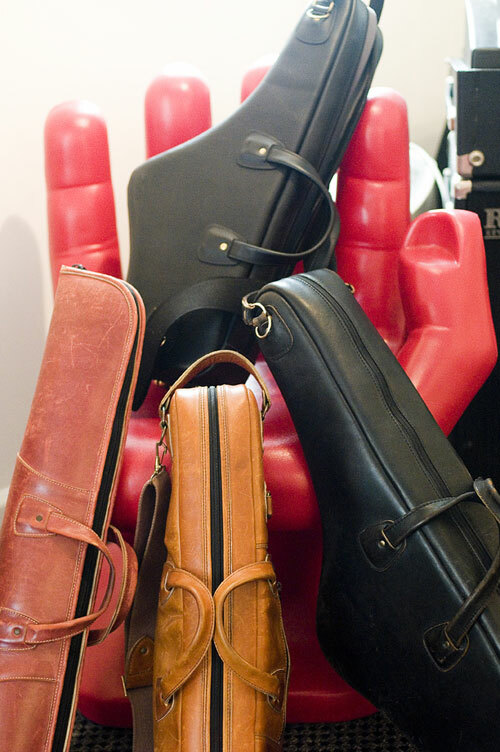 I also have a great SBA tenor and I still have several VI’s. 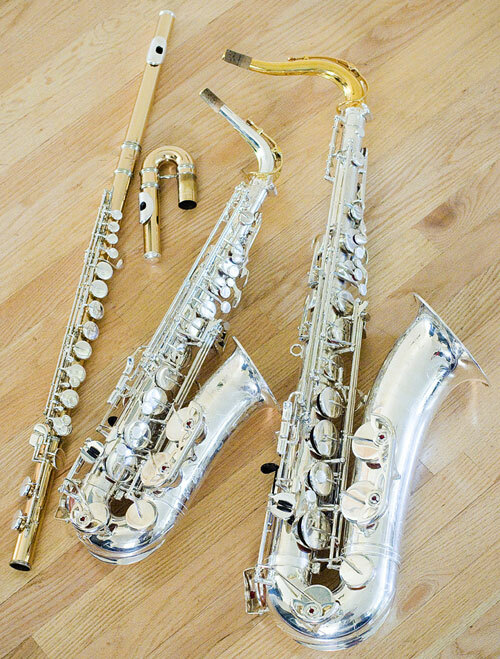 Here is a picture of my 89K sop, my 148K alto, and my 47K tenor. Q: I heard you play drums, have you ever recorded anything on drums? A: I’m a horrible drummer! and would never feel like recording on drums, but I do practice them on occasion in my basement. 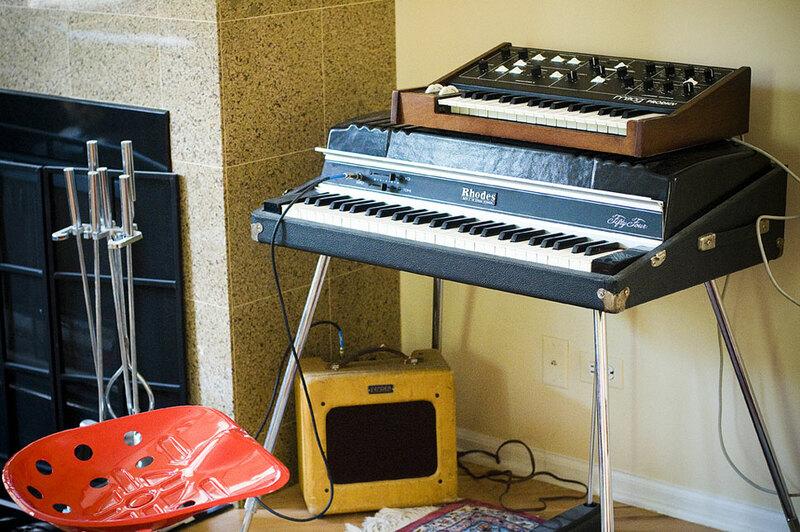 I have a drum kit setup for when people come over to rehearse. I have a 1964 Gretsch snare that Elvin Jones once used and a 1929 Ludwig snare that belonged to Barrett Deems and they are both a lot of fun to practice on. 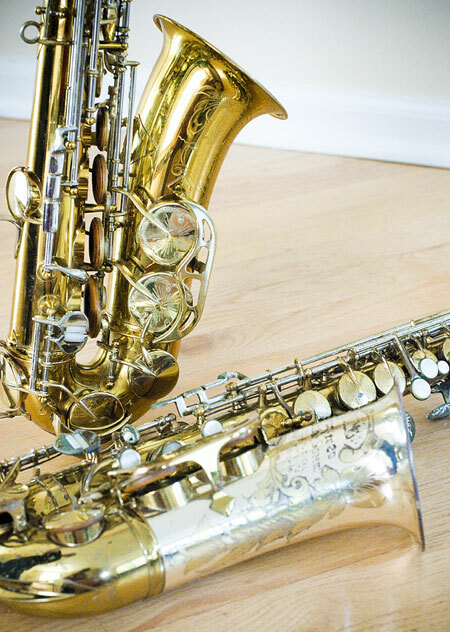 Q: Was saxophone your first instrument? Q: I know you recorded on soprano for your album “Cut It Out”, do you still play a lot of soprano? A: I love soprano! Unfortunately after having my right middle finger cut off and several hand surgeries, I don’t play it to much anymore because of the pressure it puts on your right hand and thumb. 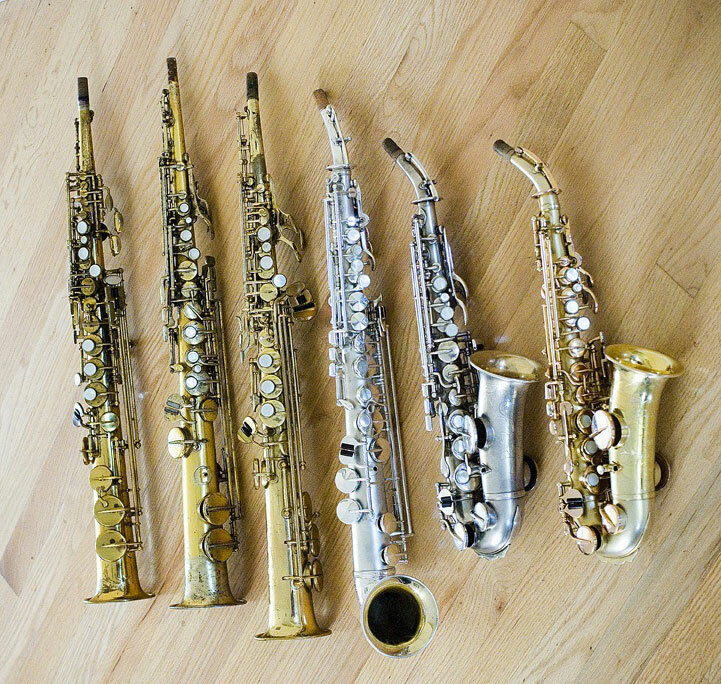 I started selling off my soprano’s a couple of years ago, but still have a Yamaha 62R, a VI, a gold 187K Conn, an 86K saxello, a 158K Gold Buescher curved and a super late 250K Silver Buescher curved.